Great story, good smattering of history, fabulous presentation, and the added bonus of an author's note from the late great Terry Pratchett. Entertaining, intriguing and humour-laced story. Well narrated, well-paced, great mix of action and thoughtfulness. Dodger is such a likeable underdog character, I was cheering for him from the start. As always this book is filled with profound humanity and a sharp sense of humor. Having read a number of Pratchett's non-Discworld books before, and enjoyed them, I was looking forward to this one. Even so, I was pleasantly surprised. It turns out that Dickensian London and the squallid, aromatic streets of Ank-Morpork have a lot in common, and this story could have taken place in either. The story itself is enthralling. 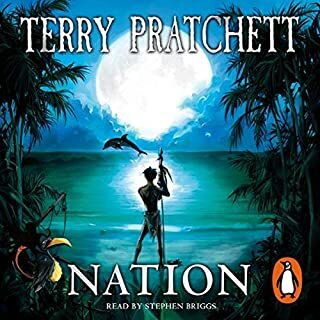 Not actually Pratchett's best, which is the only reason I gave it a 4 instead of a 5, but still great, and Briggs performance is just as good as it always is. If you're considering getting this, but don't know if you'll enjoy a non-Discworld book, I'd encourage you to give in and do it. It's either a credit, or money, well spent. Would you listen to Dodger again? Why? What was one of the most memorable moments of Dodger? What does Steven Briggs bring to the story that you wouldn’t experience if you just read the book? He made every character come alive in their own special way. What a magnificent reader he is. Would like to hear more of him. His encounter with his dying 'grandfather'. It must be one of the most wonderful books that I have read in many years and I am of 'many years'! Well done to all concerned. 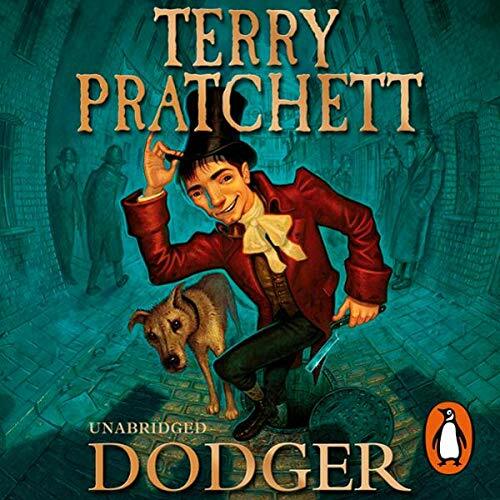 Terry Pratchett's historical novel Dodger (2012) is a fun read right from the opening stormy night scene, in which the eponymous seventeen-year-old protagonist saves a golden-haired damsel in distress from two thugs and makes the acquaintance of Charles Dickens. This sets in motion a chain of events that threatens Dodger's comfortable and unambitious life and identity as a "tosher" (earning his living by scavenging the labyrinthine network of sewers running beneath mid-nineteenth century London) with new emotions, revelations, responsibilities, reputations, dangers, and prospects. In addition to being the "king of the toshers," Dodger is a "geezer," which means that he knows and is known by all the right people dwelling in London's underbelly and that he is sharp-witted, skilled at acting, and adept at reading people. Suiting his nickname, he's also quick and slippery, never to be caught by the police ("peelers") or other undesirables. Pratchett has taken the Artful Dodger from Dickens' Oliver Twist and reformed him with a handsome figure, a good heart, a salubrious mentor, and a less illegal occupation than pick pocketing (though he is accomplished at that as well). Pratchett turns other fictional characters into "real" figures in his novel, including Sweeney Todd, a murderous though pitiable veteran suffering from war-trauma, and Solomon Cohen, a philosophical Freemason who has escaped in the nick of time from murderous anti-Semite mobs in seemingly every European city before ending up in London. Solomon, like Dodger, is a reformed version of his Oliver Twist persona, Fagin the Jew, who in Dickens' novel exploits street kids and corrupts them into lives of crime. In Pratchett's novel Solomon is a learned savant who repairs intricate watches and other valuable objects found by Dodger in the sewers in order to return them to their original owners for monetary rewards. He is Dodger's landlord and mentor, keeping him clean and fed, teaching him to read and write, educating him in the ways of the world and the scope of the universe, and generally helping him to grow his soul. Pratchett, like Dickens, partly based his Jewish character on the historical crime lord Isaac Solomon, but unlike Dickens, writes a sympathetic character in Solomon. Other real life historical personages also appear in his novel, including Henry Mayhew, socially conscious co-founder of the journal Punch, Angela Burdett-Coots, independent woman of great wealth and connection, and of course Charles Dickens, a canny, crusading, and well-connected young journalist working to improve life for the impoverished masses. Dickens is also a burgeoning popular author, and through his dealings with Dodger he gains inspiration for titles of his future novels, like Great Expectations and Bleak House. Pratchett writes vivid details about early Victorian London, like "honey wagons," "growlers," "flower girls," and "nobs." The foul London fog he turns into a metaphor for truth, an amorphous thing that people make into what they want it to be. From the toshers and their sewers he fashions an interesting sub-culture of London, with its own goddess of the sewers, the Lady, whom the Romans who built the sewers called Cloacina. And Pratchett, who highlights Dickens' role as social critic and reformer, does a fair amount of both himself by skewering politics, poverty, and wealth. Sometimes Pratchett tries too hard to be constantly humorous, as when he plays with words like hubbub ("the epicenter of a hubbub that was loud enough to be considered a hubbub with at least an extra hub, not to mention bub") or refers too often to the strong odor of Solomon's dog Onan (who is unnecessary for the plot and exists in the novel for the many jokes about his bad smell and the pay off regarding his name). As Pratchett says in his afterword, Dodger is a historical fantasy, and hence, I believe, has less of gravitas and believability and more wit and narrative expedition. And as he also says, he does "put a shine on things," for his characters, whether fictional like Solomon and Dodger or real life like Charlie and Angela, are all wittier, luckier, stronger, and kinder, and more interesting, capable, and effective, etc., than their real life avatars could be. Things are a bit too easy for Dodger. This novel is therefore entertaining but not so suspenseful or powerful. And I've found most of Pratchett's straight fantasy Discworld books to be more of all three. If it is easy to read Dodger with a smile on one's face, this is due in part to Steven Briggs, who gives a great reading of the novel, speaking the accents and moods of the different characters and the witty flourishes of the narrator with engaging skill. What made the experience of listening to Dodger the most enjoyable? I just love Briggss' narration. I have the impression that Pratchett's last books (like Snuff) had a more complex and entertaining plot. 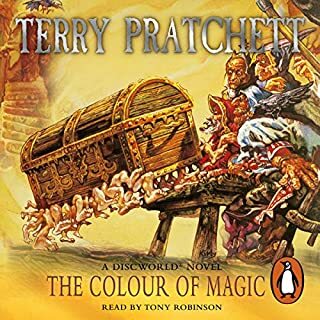 This one has a simple straightforward story, above Pratchett's average in my opinion, but compensates with the historical references to old London. Can't be disappointed with Pratchett stories. I really enjoyed Dodger. Moving out of the standard Discworld fare felt strange at first but the same loving care went into Dodger's London as was ever given to Ankh. It is a brilliant and compelling story. The character is so strong - but it's all so well-written. I really want to know what happens to him and his lady. I just loved the treatment of real people, like Disraeli, or Bazalgette. Have you listened to any of Steven Briggs’s other performances before? How does this one compare? Not heard it before but liked it very much. Sometimes the best people are found in the darkest of places. Hope it gets to the actor that I loved the book but really thought the voice performance was great. What did you love best about Dodger? I feels as if Pratchett was having fun writing Dodger. Dodger takes us on a Toshing Tour of London. Brilliant. Where does Dodger rank among all the audiobooks you’ve listened to so far? hard to say, how can you really choose among Prathcetts books?? What about Steven Briggs’s performance did you like? The book reminded me of the Sallay Lockhart mysteries; very entertaining. Terry Pratchett is back with a vengence. A magnificently constructed tale brimming with T.P's distinctive charm and wit providing many 'laugh out loud' moments. The narration by Steven Briggs is, as usual, splendid and although this book is not a part of the Disc World series the familiar voices of quite a few much loved characters are echoed here. Whenver I read a certain combination of words, I get goosebumps. For example: "Icecream sundays" or "By Terry Pratchett, Narrated by Steven Briggs". Lovingly read by one of the best narrators I've ever listened to, this is in my opinion one of Terry Pratchetts best books. 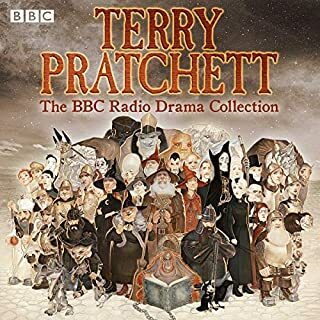 I loved this to bits, a really entertaining and enjoyable audiobook. Full of humor and charming in a very British way. If you know your Dickens you will spot a few humorous references to book titles and characters which adds to the fun of listening to this little gem of a story. Terry Pratchett is of course well known for creating vivid characters. Here he borrows one from another great writer, and does interesting thigns with him. 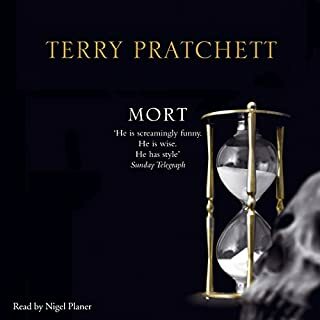 Pratchett brings Victorian London to life with the same eye for strata and people as he does Ankh Morpork, and allows his hero to be a real person, while simultaneously shining through as slightly better than average, and much better than he's believed to be (certainly, and winningly, by himself at all accounts). The only slight let-down here is a somewhat lacklustre narration by Steven Briggs. Normally, I yield to no-one in my appreciation for Briggs' readings of Pratchett's work: it's no exaggeration to say his readings opened up some of Pratchett's finest to me in a whole new way. Here though, it feels like Briggs, rather than Pratchett, is slightly out of his comfort zone. 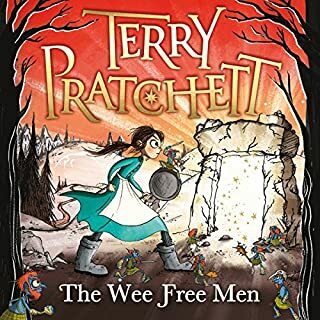 Not, I should say, massively out of it - the book is still great fun and very interesting, and the narration is still head and shoulders above anyone else ever to lend their voice to Pratchett's words. But occasional stumbles from Briggs here take what would otherwise have been a four - or even a four and a half star review down to a solid, and still enjoyable, three. If you like Terry Pratchett, you will love this. I've read most of his books including all the Discworld and was a little disappointed that this wasn't another. It was however, brilliant and I now hope he writes another Dodger book, he's brought to life another great character and left me wanting more. If you are considering buying this book do it, you won't regret it. I loved this tale, it had a serious side as well as the Pratchett humour. The story was set in the first part of the reign of Queen Victoria, it cleverly included the characters of Charles Dickens and Henry Mayhew as a relevant part of the tale. I did really enjoy this, it was a departure from the normal stories of Terry Pratchett, - EXCELLENT! 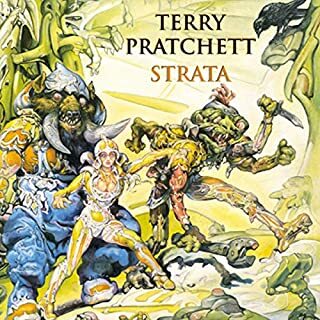 I knew that a Terry Pratchett book was going to be good but this exceeded even my high expectations, with an excellent narration too!!! One of the best audiobooks I've listened too, well written, well narrated I would definitely recommend!